When building a new website for your business, it might be tempting to design and develop the website on your own. However, any business that operates in the property management line should strive to hire the services of a professional web developer, especially those who specializes in holiday rental website development. This will not only give you a high-quality website, but it will also ensure that you get the best results out of it. Genkan Creative is a specialist division of Genkan, one of the leading holiday rental management software developers across the world. Genkan Creative was born out of one of the most effective property management companies in the world, and it now offers leading holiday rental accommodation website development solutions to companies all over the world. With the expertise that has been acquired from years of experience, Genkan Creative knows all what is required to make your website successful, especially in the competitive field of property marketing. You can thus trust them to create a high-quality website that will increase your search engine rankings, and allow you to compete with other prominent property management businesses online. Unknown to most people, developing a website for selling products online is completely different to holiday rental accommodation website development. 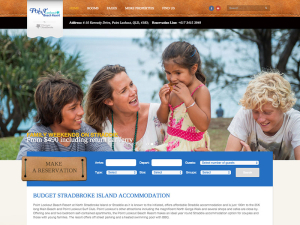 A website for a business that engages in holiday rental management acts as a front door to visitors who check on the website, and it must attract and appeal to them if they are to spend any more time on your site. This is a skill that you only entrust to specialized website design and development companies such as Genkan Creative, which understands the kind of business that you are in. With Genkan Creative holiday rental website package, you can get a comprehensive online marketing solution, with search engine optimization, social media solutions, mobile and email marketing features. With the ever-increasing use of smartphones, tablets and mobile devices when accessing the internet, the approach towards website design and user experience has changed. Before the proliferation of these devices into the market, designers only had to deal with ensuring that the look and feel of the website remained the same across all browsers. If you want a website built nowadays, you have to ensure that you create a website, whose content, images and structure will remain the same, regardless of the device being used to access it. A design than can handle all types of users on different devices is referred to as a responsive web design. Such a design is created in such a way that the navigation elements of the website, layouts, text, images, and other elements re-adjust themselves across a variety of devices. Responsive web design helps can save you a lot of time and money, as it does away with the need of developing a duplicate website for mobile users. It also helps to enhance user experience on your website, as the visitors can enjoy content from the site through their desirable devices. With more people starting to use various mobile devices to perform tasks that a few years ago were only possible on a computer, one thing continues to be clear, mobile devices are taking over the market and despite the technology being relatively new, it is quickly catching up with computers. Statistics also indicate that usage of mobile devices will soon surpass that of the use of computers, bringing about the need of a mobile compatible website. While most websites available on the web today will load okay when using a mobile device, a mobile compatible site for a holiday rental accommodation must be specially designed such that the functionality and accessibility of the site remain the same even on the small mobile screens. Mobile website design has very many benefits top among them being ensuring that the presence of your business is felt online. With very few websites been designed with the mobile users in mind, having a mobile friendly website also ensures that when you have an edge over your competitors. In addition, mobile friendly website design helps to improve your websites ranking, especially after Google started using the ability to load on mobile platforms as one of the key indicators of determining the quality of the website. When it comes to the world of marketing, SEO is one of the most misinterpreted and misunderstood terms. Contrary to what most people think, search engine optimization is a marketing method and not some sort of secret that can only be learnt by a select few. The mis-characterization of SEO in the past few years has caused most people to devalue its importance as part of a good marketing plan for any business, whether small, mid-size or large. The success of any online business largely depends on people being able to find your website easily using search engines. 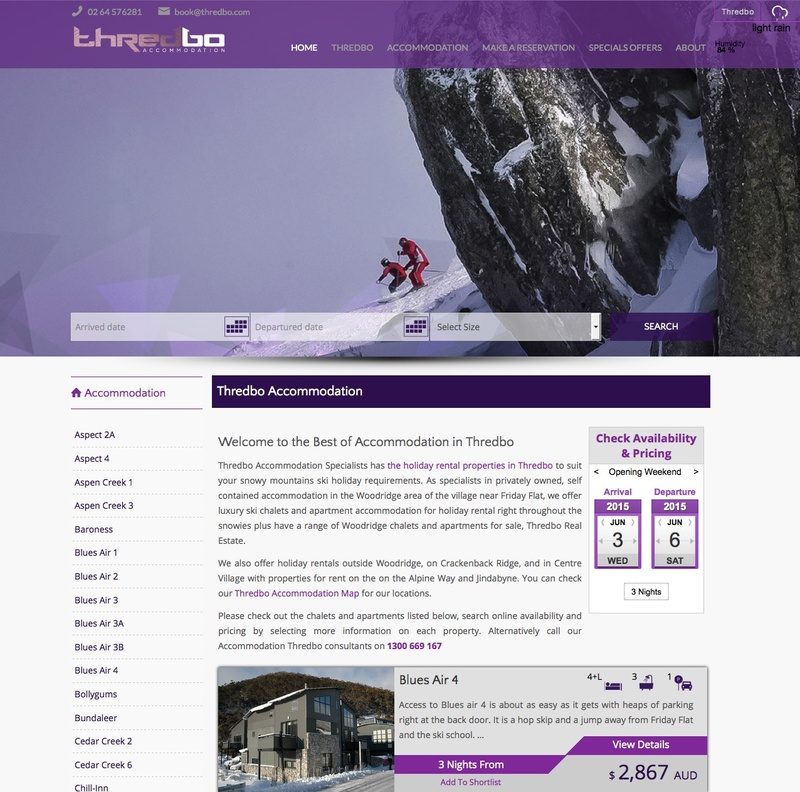 The threshold is even higher for property management websites. 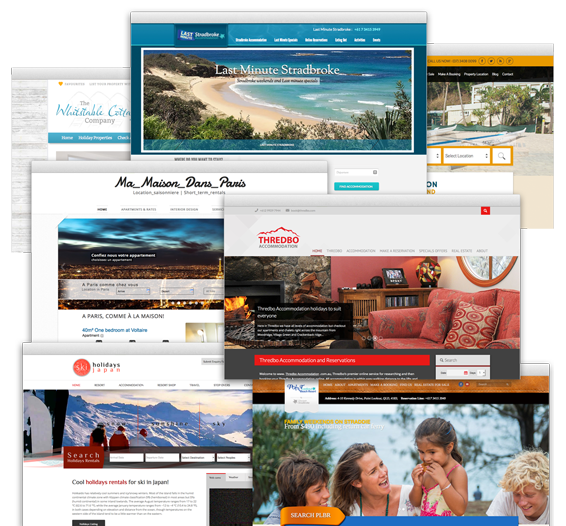 In order for people to find your holiday property website easily, it must be designed and developed to be search engine friendly from the onset. This is known as search engine optimization, and it involves modification of various elements on your web pages to ensure that phrases people use to search for what you are promoting are fully highlighted. Despite the misgivings, most people have about SEO, the techniques employed in this marketing method still work and they are very effective. Search engine optimization is good for business visibility, as it helps your website appear high on search engine rankings. By appearing in search engine results, your business continues to gain credibility, which increases the chance of potential customers visiting your website.